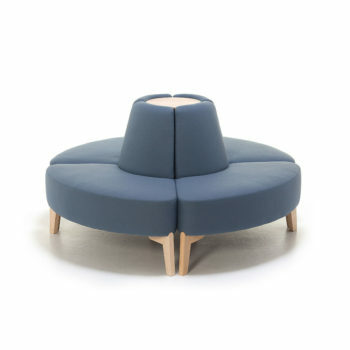 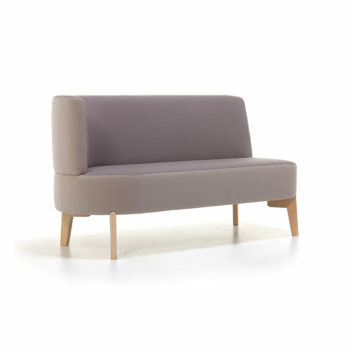 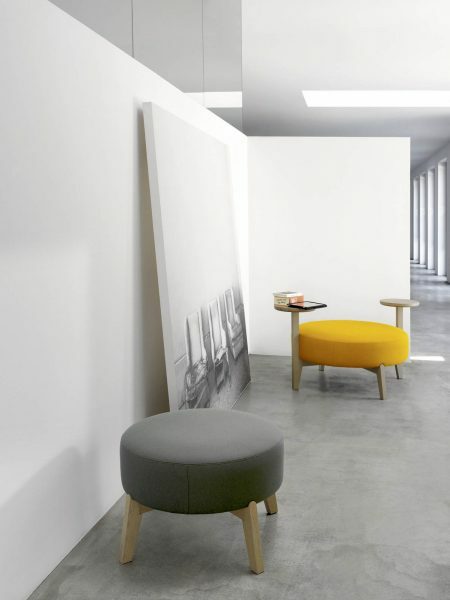 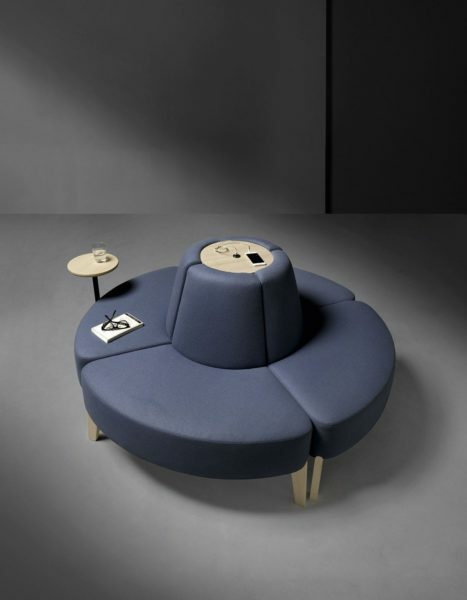 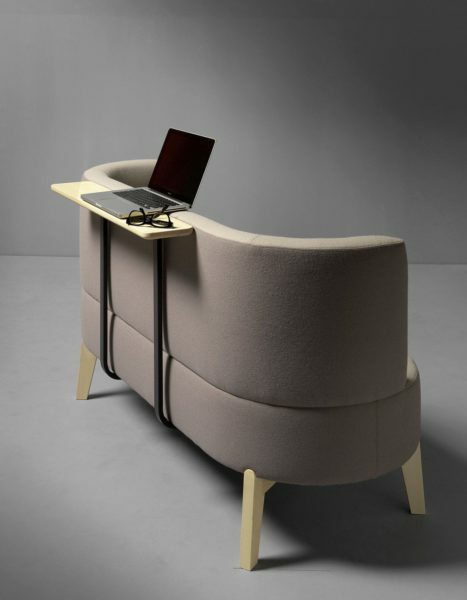 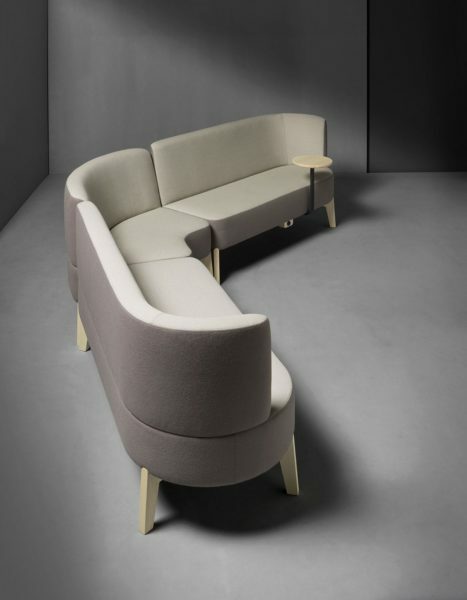 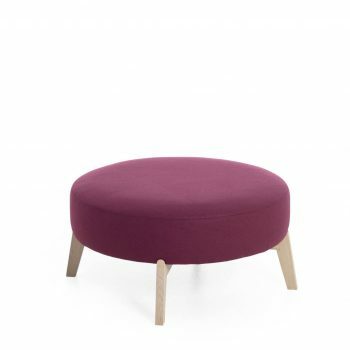 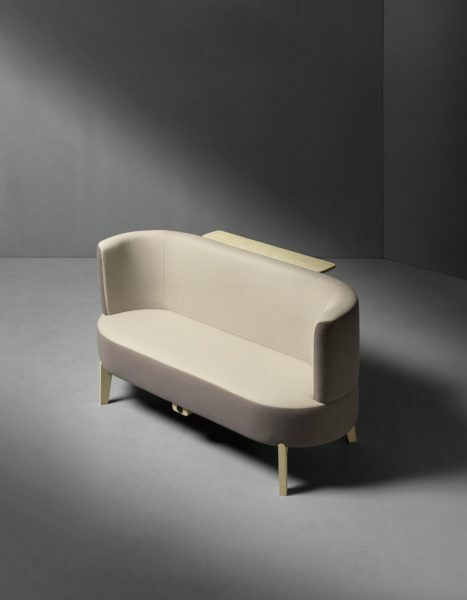 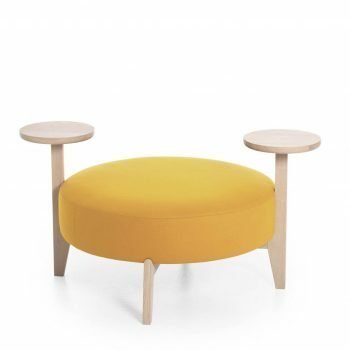 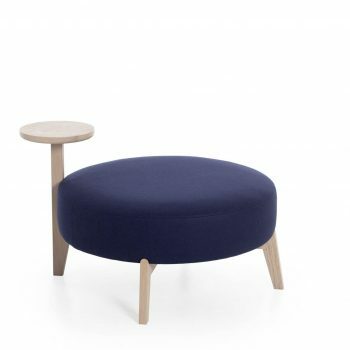 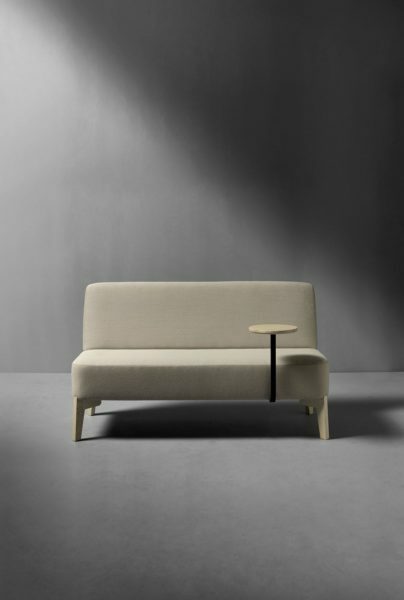 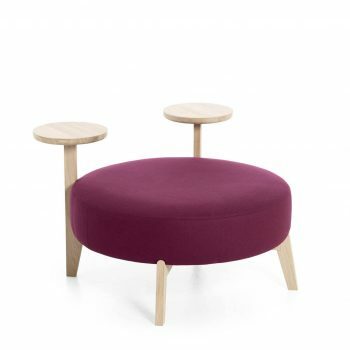 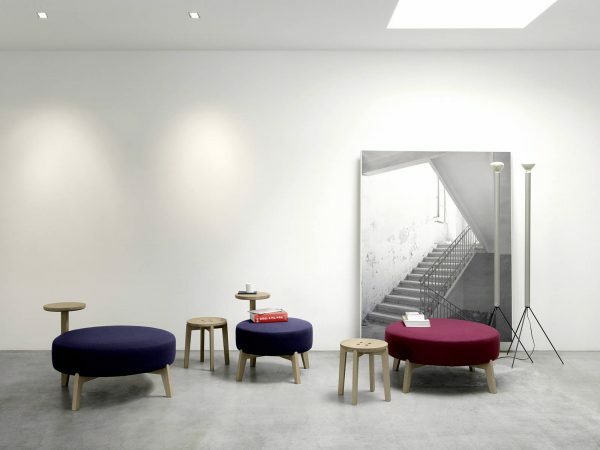 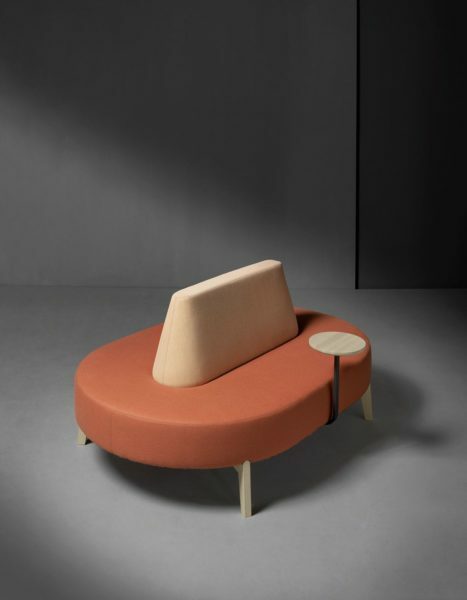 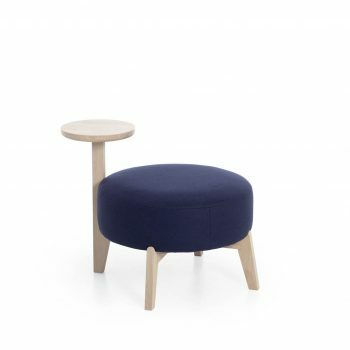 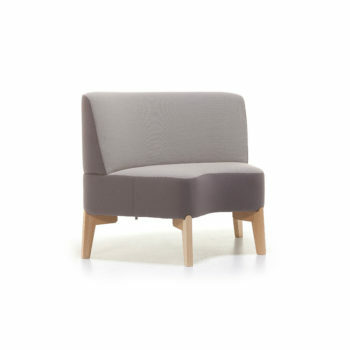 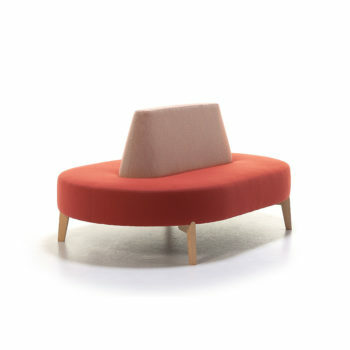 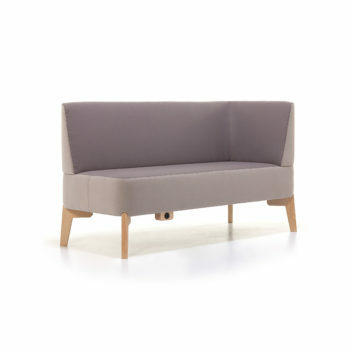 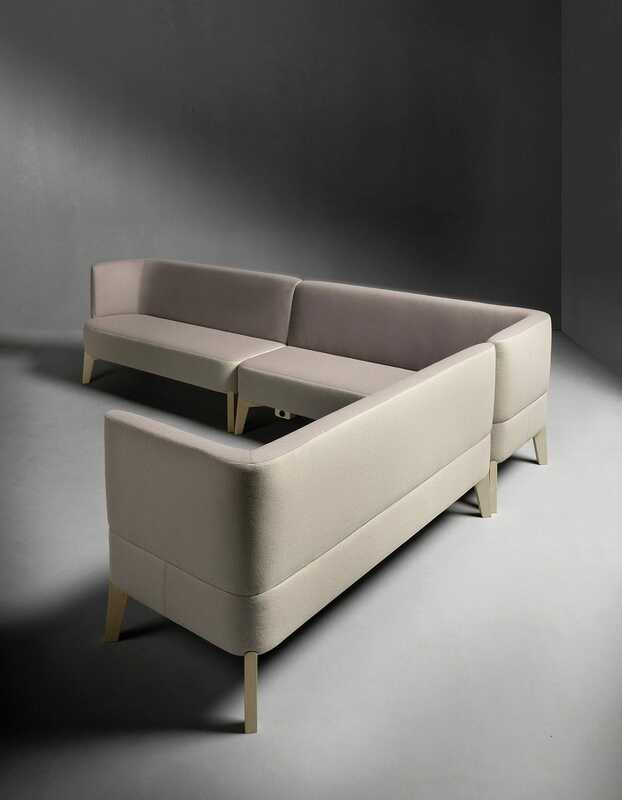 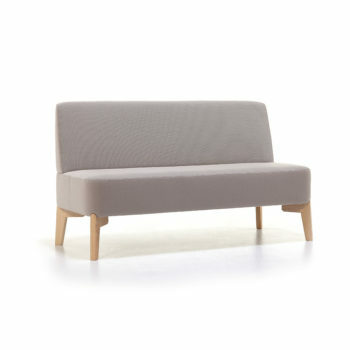 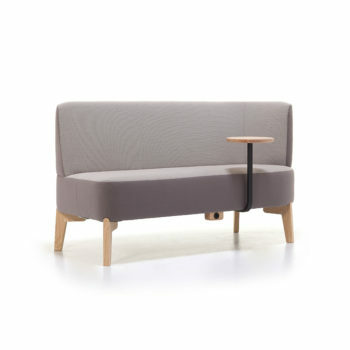 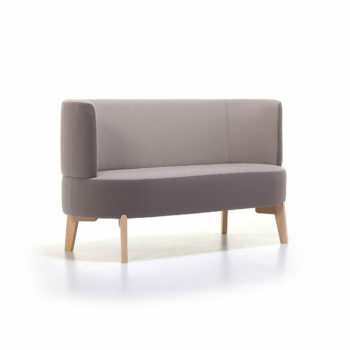 Collection of upholstered poufs, sofas and modular sofas in ashwood, available with or without side tables, shelves and/or USB outlets, to be connected to a power plug. 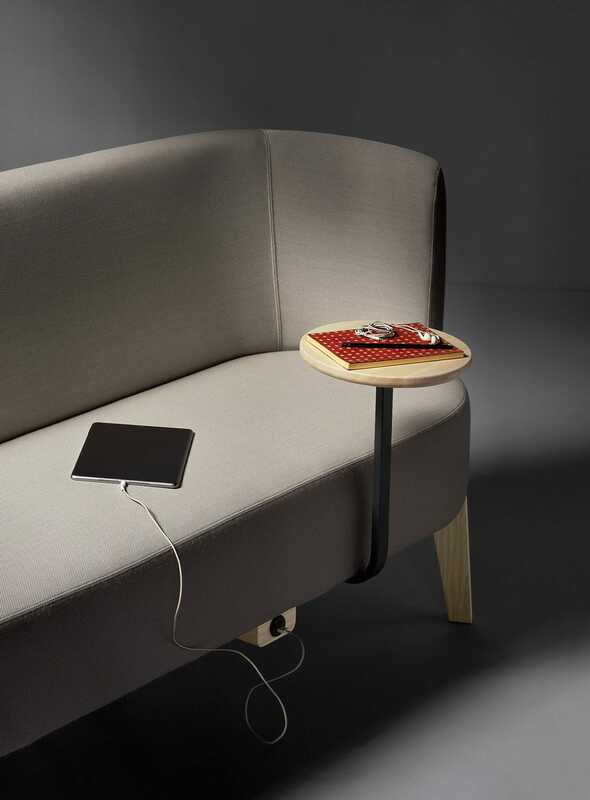 Accessories must be ordered and charged separately. 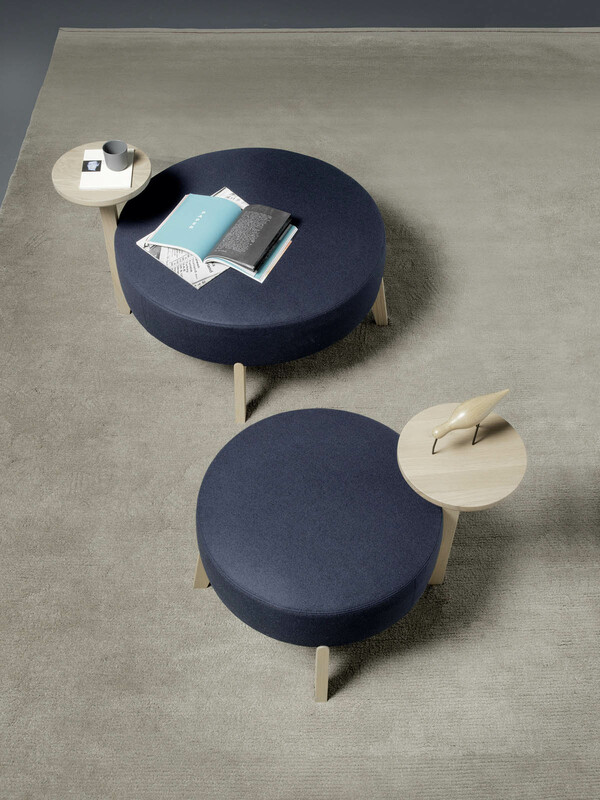 Modules are pre-drilled, for all accessories’ positioning options which are detailed on our catalogue.